Implants - Dr. John Kostides offers his patients quality cosmetic dentistry. Dental implants restore the integrity of all your teeth. Did you know that even the loss of one tooth might result in the tipping, drifting and erupting of neighboring and opposing teeth? The loss of several teeth can result in the inability to chew and speak effectively. It can also lead to the collapse of your bite causing stress on your jaw joints and facial muscles. There may be a reduction in the vertical dimension of your face resulting in an older facial appearance and noticeable facial lines. Dr. Kostides considers all these factors when determining how best to achieve dental aesthetics that are in harmony with your physiology. Here in Merrillville, Dr. John Kostides offers his patients high quality cosmetic dentistry through dental implants! 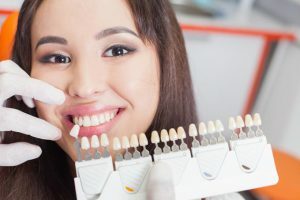 If you are looking for a way to replace a missing tooth that is most similar to your natural one, an implant may be the solution you are looking for. Dental implants are small, sturdy, titanium posts; that act as the root structure would for a natural tooth. A dental implant is placed into your upper or lower jawbone. After the bone has grown around the implant, implants can hold a crown, bridge or over-denture just like roots hold natural teeth in place. Implants are very durable and can last a lifetime. They require the same maintenance as natural teeth; this includes brushing, flossing and regular dental check-ups. A single tooth or a full arch of teeth, which have been lost due to injury or disease, can be replaced with dental implants. Titanium metal is used because of its compatibility with bone and oral tissues. 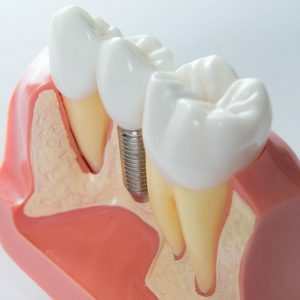 Implants are a wonderful alternative to dentures and can serve as anchors for crowns, bridges, or can also be a solid foundation for your dentures. Imagine a confident, natural looking smile that could be yours. To find out if an implant would be a suitable option for you, contact our office to arrange for a complimentary evaluation with Dr. Kostides.